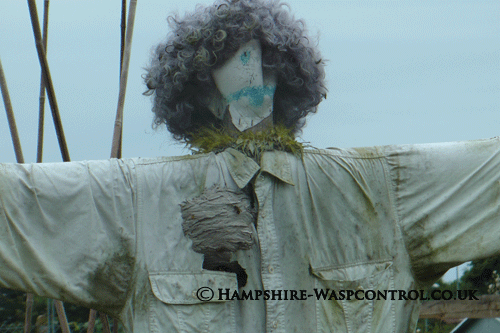 Not satisfied with terrorising the local allotment growers, these wasps decided to give everyone nightmares about alien wasps! 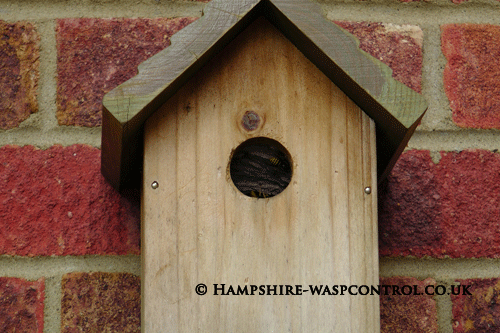 More common than you might think, wasps often take over bird boxes and build their nests inside. 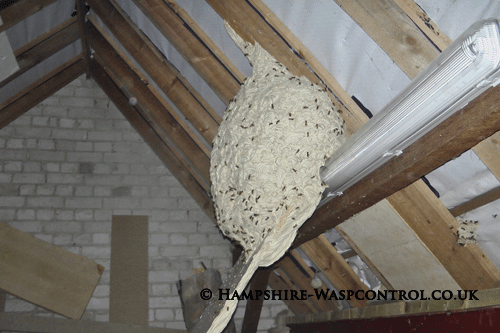 A typical wasp nest in a loft situation. 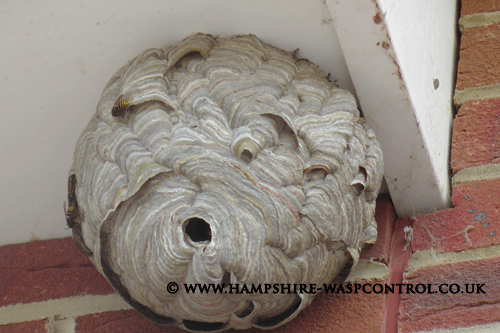 Wasps will often build a nest in plain view, the one show below is exposed under a soffit board. 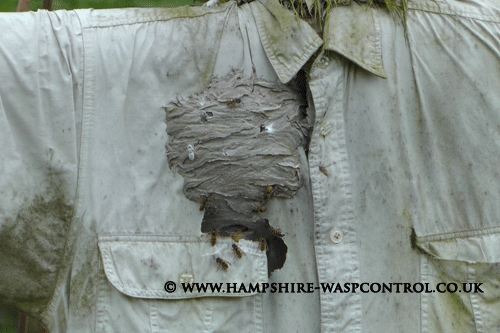 Wasps are not fussy, they will utilize any discarded old thing. Talk about recycling. 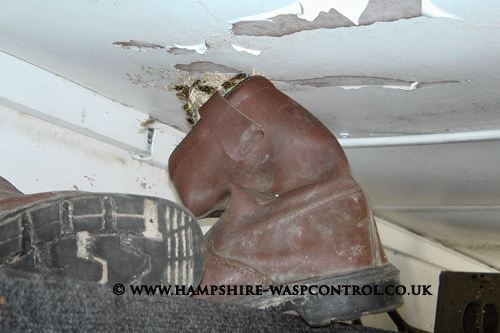 Although unusual, wasps can destroy wiring by chewing it. We have attended a nest which chewed a telephone cable to the point it needed repair. 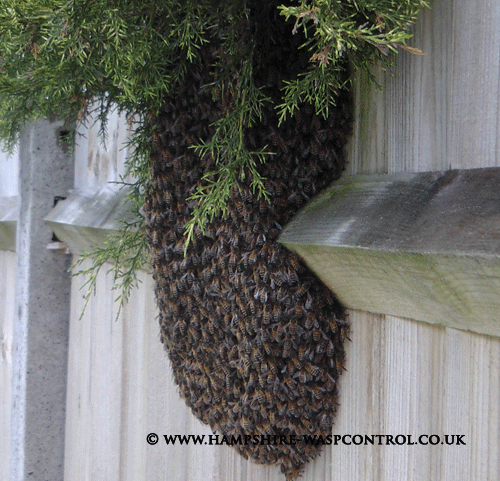 If you see a mass of clustering insects, it will be honey bees. 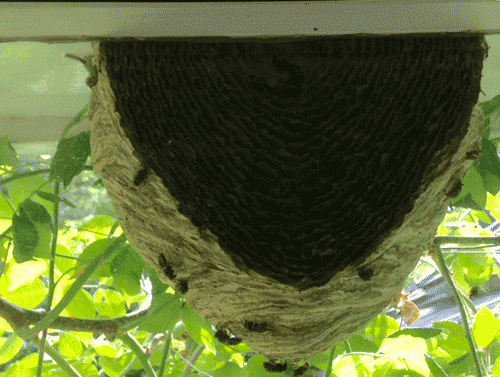 Wasps do not do this! Unusual nest built onto a window. 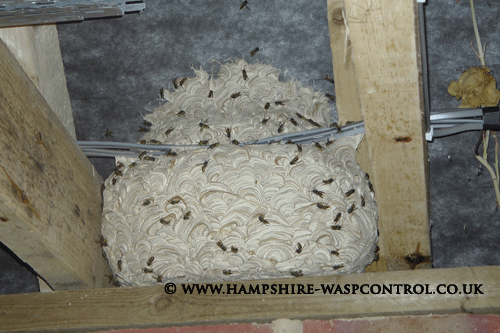 European wasps, with the interior of the nest exposed!